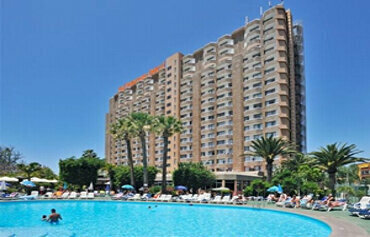 Holidays to Los Cristianos are popular for families and couples. Mix adventure and glorious sunshine in Los Cristianos for an unforgettable holiday with a Spanish flavour. Head to the Tenerife resort of Los Cristianos and admire the amazing views that this picturesque island has to offer - and take advantage of all the great activities and attractions that have made it a really popular destination with couples, families and groups of friends looking for a more relaxed getaway in the Canaries. Start your day with a gentle walk up to the bustling older part of town and stroll through the wonderful markets, picking up a few treats along the way. Or, if you're keen to indulge in a little relaxation, set off for one of the magnificent sandy beaches in Los Cristianos. Average temperatures are in the mid twenties during the summer but because there's very little temperature variation in winter, you'll be able to enjoy the stunning scenery and beaches on a holiday to Los Cristianos at any time of year. A refreshing glass of sangria or local beer is the perfect way to cool down when the temperatures soar! Keen to indulge your adventurous side on your holiday to the Canary Islands? Visit the famous Loro Parque in Puerto de la Cruz, or Siam Park waterpark in nearby Costa Adeje for a fun day out! For something extra special, book an exciting boat trip from the Los Cristianos harbour. You can go diving or get involved in a whale and dolphin watching excursion, so don't forget to bring your camera on holiday with you! Although Tenerife is a party haven for young revellers, Los Cristianos has a more relaxed atmosphere compared to the bustling Playa de las Americas. It's the ideal destination if you'd like to experience absolute bliss. In the evening you'll be spoiled for choice with the fantastic selection of local and international restaurants. You'll never go hungry on your Los Cristianos holiday with the tempting local Spanish dishes, freshly caught seafood and favourite British cuisine on offer. If you'd like to enjoy a holiday to the Canary Islands with a difference, call Hays Travel today and trust us to book a fabulous getaway for you. We have over 37 years of experience in booking holidays to Spain and the Canaries and have been voted the UK’s Best High Street Travel Agent - so with Hays Travel, your holiday is in safe hands! 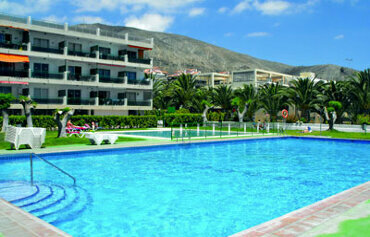 The everpopular Princesa Dacil Hotel was built with families in mind. 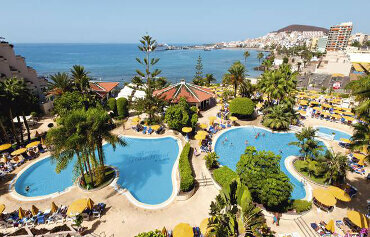 This 4 star all inclusive hotel boasts a fun packed pool area and a great choice of family friendly activities onsite. Harbour views, a central location and the beach just a hop, skip and jump away, the 3 star Comodoro Apartments in Los Cristianos were built with laid back holidays in mind. The pool and gardens take centre stage in the daytime with plenty of space to kick back and catch a few rays. 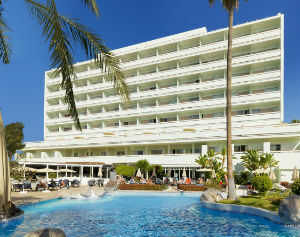 There is plenty to write home about when you stay at the Spring Arona Gran Hotel in the Canaries resort of Los Cristianos. Firstly, this 4 star hotel sits in an enviable position on the seafront promenade. 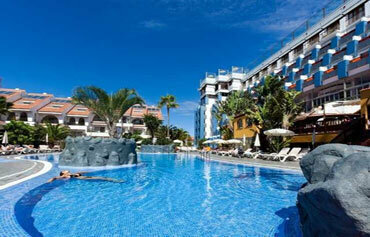 The Paloma Beach Apartments are tucked away in exotic gardens, close to the Los Cristianos headland and the beach. 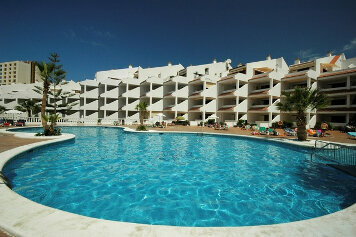 These Tenerife holiday apartments offer a welcoming atmosphere and a plenitude of onsite facilities for all the family. This modern hotel based in tranquil Los Cristianos is tailor-made for adults. This means you're almost guaranteed plenty of peace and relaxation from check-in to check-out. The weather in Tenerife is warm and sunny almost all year round, with temperatures ranging from the late teens in winter to above the mid twenties in the summer. The island is Spanish, but it's actually located close to the Atlantic coast of North Africa, which explains why it's sunny even in winter. Mount Teide divides the island in two, with the south enjoying drier, warmer winters than the slightly cooler, wetter north. November and December are the rainiest months, but the long, warm days mean Tenerife's still a great destination for a dose of winter sun. Holidays in Los Cristianos are packed with lots to see and do. Take a boat trip from the harbour at Los Cristianos, try diving or take a deep sea fishing excursion. There are plenty of golf courses in the area and many hotels have good sports facilities on site. Go shopping in the weekly market, or visit the local water park. Further afield, visit Loro Parque and Siam Park, two theme parks with animals. Don't miss the cable car up Mount Teide, the highest peak in Spain and a wonderful vantage point from which to view Tenerife's breathtaking lunar landscapes. Nightlife in Los Cristianos is vibrant, with a good choice of Britishstyle pubs, cocktail and karaoke bars and clubs and discos. Young and lively crowds tend to stay in neighbouring Playa de las Americas, a short taxi ride away and the place to head for a more raucous night out. Freshly caught seafood, Spanish specialities and international dishes can all be enjoyed al fresco in Los Cristianos, thanks to the enormous choice of cafs and restaurants. Don't miss the smaller, more traditional establishments in the older part of town. Plenty of restaurants serve up fast food and British dishes. For great value, choose an allinclusive hotel, where meals, snacks and selected drinks are included in the cost of your holiday.